This popular tree is best known for its colorful and unique seed capsules, rather than its flowers. Despite its striking spikes of yellow flowers in summer, the papery seed capsules are its most distinctive feature. The seed capsules resemble tiny Chinese lanterns and cover the tree’s outer branches immediately after flowering. Sometimes the flowers and seed capsules are on the tree at the same time. 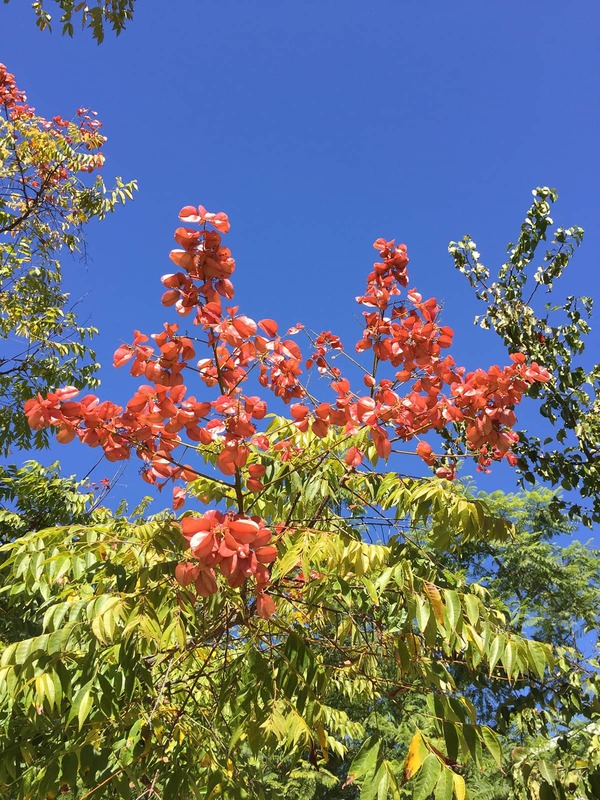 The seed capsules are a bright salmon color when new, giving it another common name, the Chinese flame tree. The capsules turn a beige color and stay on the tree until it drops its leaves. Its botanical name is Koelreuteria bipinnata, given to describe its unusual bipinnately compound leaves. It is a medium-to-large sized tree, up to 30-40 feet in height and spread. Being deciduous, it will lose its leaves in late winter. It is native to China, but is very well adapted to our climate. 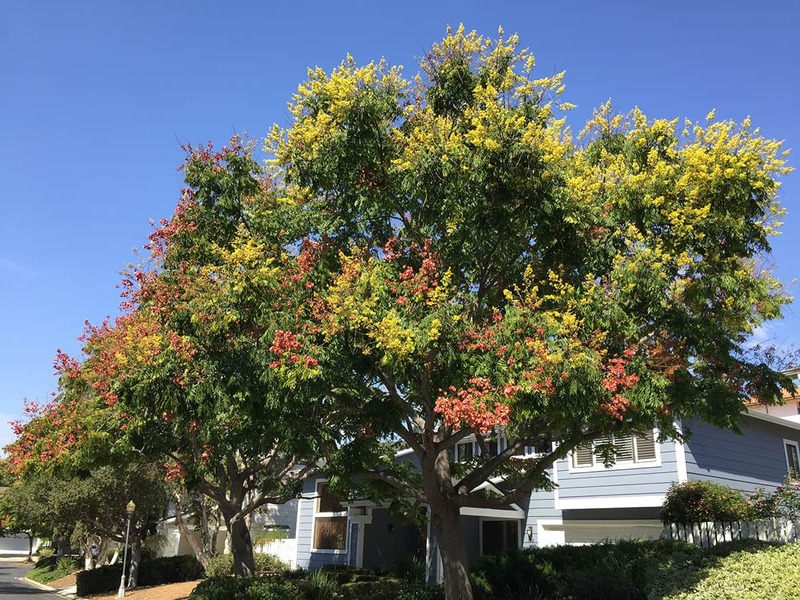 Older trees continue to look healthy, even in the drought. It does require irrigation for several years while it is young. Its relative fast growth makes it a wonderful feature in your yard that will provide quick shade and beauty. They are frequently used in new landscapes to provide color and shade for buildings and parking, and as street trees. Chinese lantern trees can be seen on Gillespie Street on the West Side. Other locations are the Mason Street entrance to Franklin School, the parking lot at 3802 State Street, and on Hope Avenue in front of Monte Vista School. The picture is of a young tree on Gillespie Street.